What picture do the words “Malt Master” conjure up in your mind? You would be forgiven for admitting to a picture of a middle-aged caucasian male. Malt Whisky 100 explodes the myth that all the key players in whisky production today conform to that sterotype. Whisky used to be described in terms of regionality – highland, lowland etc. It’s much more useful to learn about whisky through flavour profiles as there are so many cross overs between different regions. 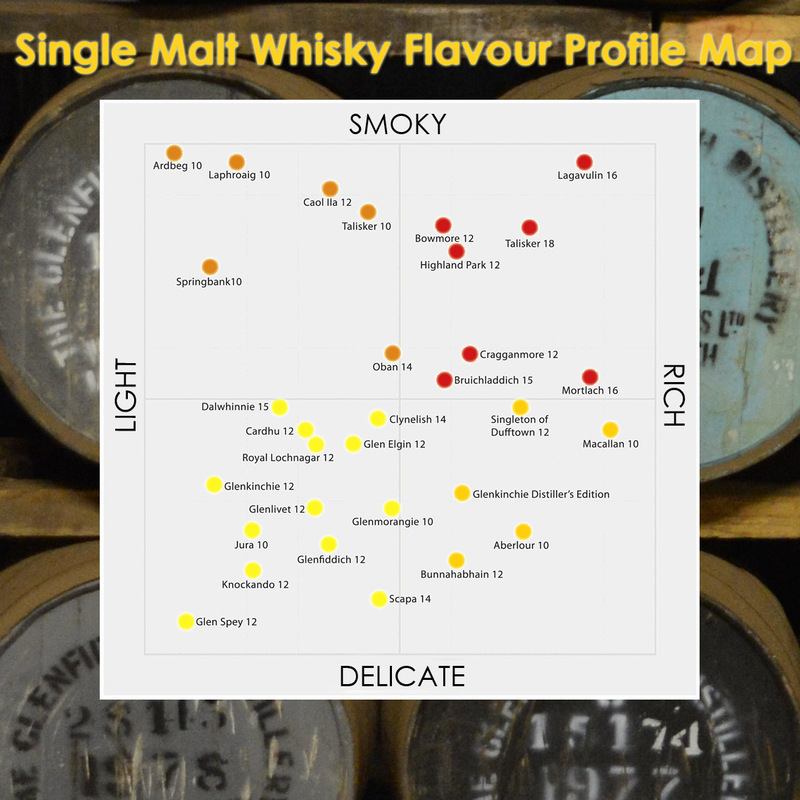 Below is an adaptation of world-renowned whisky writer Dave Broom’s flavour map, originally created in conjunction with Diageo. Distilleries, what do they look like? 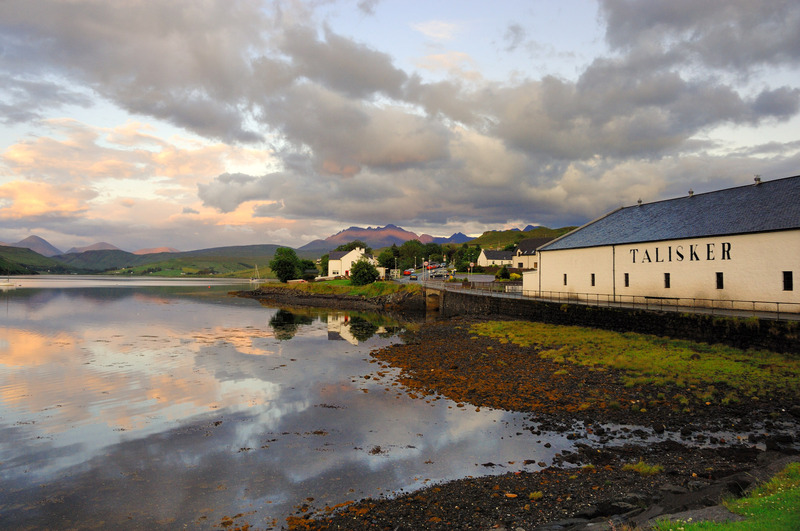 Have you ever wondered what a whisky distillery actually looks like, inside and out? How would you know one if you drove past it? Our gallery gives you a peek behind the scenes at some Scottish distilleries and the important parts such as the still rooms and warehouses. You know that wine’s made from grapes. They’re grown on vines then they’re crushed, the liquid is fermented, aged for a bit and then bottled. It gets sent to the supermarket or wine shop and you pick it up from there. But what about whisky? How’s that made? Isn’t it incredibly complicated and mysterious? Welcome to Malt Whisky 100 – the go-to site for malt whisky virgins to amateurs, focussed on whiskies priced under £100 a bottle. This blog will explode the mystery around malt whisky and explore single malt whiskies costing under £100. I’ll help you to discover the flavour profiles of different malt whiskies. Not sure about the difference between a Laphroaig and a Dalwhinnie? Do you stand in front of a row of bottles and panic that you don’t know what to choose? Do you play it safe and make your purchase based on packaging, special offers or simply the same stuff as you’ve bought before? Well you’ve come to the right place. This blog will help you select enjoyable whiskies for yourself or others, interact and have fun. I’m going to answer the questions people are afraid or embarrassed to ask: what is single malt whisky? If single malt is good, wouldn’t double malt be better? So let’s talk about: whisky or whiskey? Whiskey is from America and is properly known as rye whisky or bourbon although some Irish whisky is known as whiskey. This blog is primarily about single malt whisky, not whiskey. Most whiskies are blends. Around 94% of all whisky is blended, for example Johnnie Walker, Bell’s and Ballantine’s. These are brands use whiskies from many distilleries. 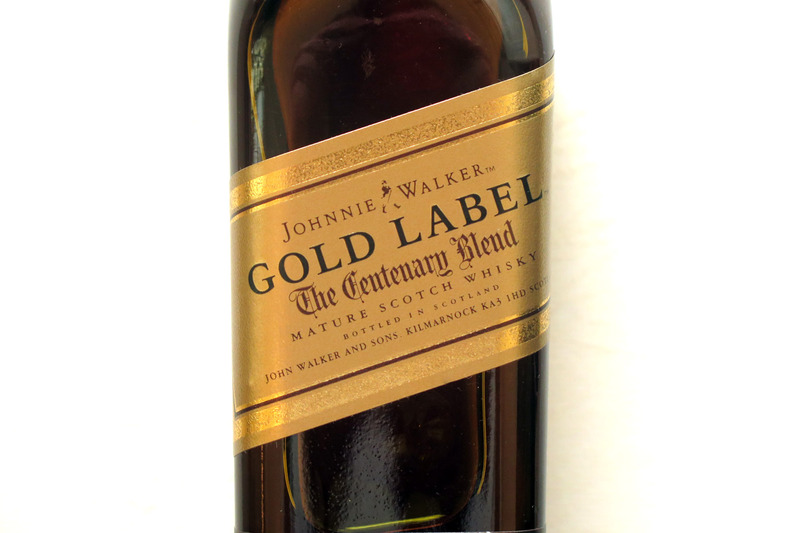 It’s not known exactly how many, but over 40 whiskies that make up Johnnie Walker Black Label. A single malt whisky is a whisky that has been made in one distillery and has not been blended with any whisky from another distillery. So what does Scotch single malt whisky mean, how is it different? To be Scotch malt whisky, the spirit must be distilled, stored for at least three years and bottled in Scotland. Single grain whisky has the same definition as single malt whisky but is not made from malted grain, hence the term “malt” whisky. The focus of this blog is single malt whisky not grain whisky, as there are very few that are bottled as single malts and even then, only in tiny amounts. Beyond single malt whisky there is single cask whisky. 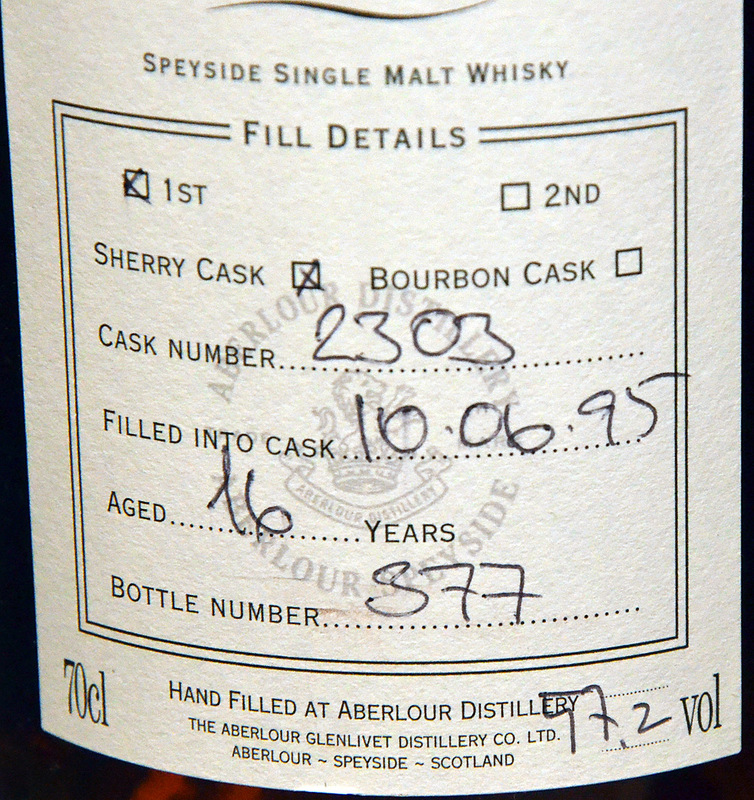 This comes from a single cask within just one distillery. Casks can be married (which means blended) and as long as they are from the same distillery, they are still considered to be a single malt. Single cask malt whisky tends to be bottled at cask strength. This means that it has no water added to bring the alcohol content down to within the normal range of 48% – 40%. The strength of single cask malt whisky can be as high as 70% and is typically around 50%-60%. Over time, there is some evaporation of the alcohol from the barrel. How much depends on how much time the whisky is aged; this evaporated alcohol is called the Angels’ Share. That’s enough fun for one day so please come back on Friday 7th March to see my special mystery guest introducing the four whisky flavour profiles: smoky, peaty, floral and fruity. PS: Sláinte means “health” and is the Scottish equivalent of “cheers!” Try it yourself for initiation into the wonderful world of whisky.